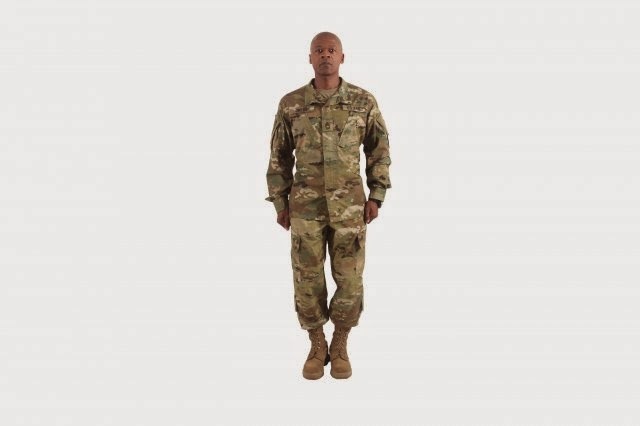 We are not sure why this came out a week later, but the U.S. Army has now updated their official release on the new Operational Camouflage Pattern and also provided details on the new ACU that will coincide with the new OCP. This provides a lot more thorough information including when the UCP pattern will be phased out completely and other potential changes on the uniform including dropping the Mandarin collar and pen pockets on the coat, as well as the drawstring on the trousers. They do state that buttons will replace hook and loop on leg pockets and they will be doing away with all pockets for joint protection. Pricing for the uniform will remain the same, so don't expect huge savings on the new camouflage pattern. Another interesting aspect they point out is that they are still optimizing additional patterns for Arid and Temparate environments or as they call them "bookends". Perhaps a re-coloration is in order or something completelhy different for these environments with the mere OCP tagline slapped on. 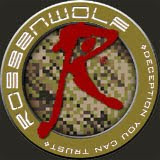 This ties in with Phase IV of the Camouflage Improvement Effort, which otherwise seems to have been scrapped in terms of the four finalists who vied to have their family of patterns selected. The U.S. Army is not clear on how the Scorpion W2 pattern was further evaluated to develop what we now know as the new OCP other than a broad reaching "soldier feedback". 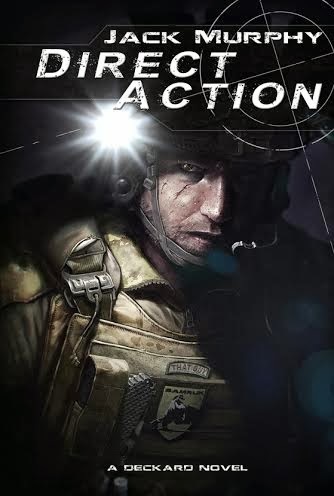 It appears from their wording that the selection could have taken place back in 2010 when the decision to adopt MultiCam for Operation Enduring Freedom took place, however we know now that the idea to carry Multicam forward was scrapped over contractual disagreements. No mention is provided for the testing and evaluation for Phase IV of the Camouflage Improvement Effort, but we are certainly curious as to why it was scrapped when in the end a new pattern was selected despite its close appearance to an existing pattern. The same could certainly have been said for the family of patterns presented by Crye Precision. Nonetheless, this is the new OCP and the latest update is definitely interesting reading. 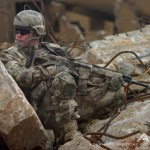 WASHINGTON (Army News Service, July 31, 2014) -- The Army has confirmed what Soldiers have been hearing rumors of for months now -- a new camouflage pattern for combat uniforms is on the way with a number of improvements. Beginning in the fall of 2015, the Army will begin issuing to new Soldiers an Army Combat Uniform that bears the Operational Camouflage Pattern. That same uniform will also become available in military clothing sales stores in the summer of 2015. Soldiers are expected to retire their current uniform and begin wearing the new pattern by the summer of 2018. The uniform bearing the new pattern will be largely the same as what Soldiers wear now, except that the lower leg pockets will be closed by a button instead of the "hook and loop" fabric fastener on the current Army Combat Uniform, or ACU. Soldiers complained that fastener made too much noise in combat environments, officials said. The insert pockets for knee pads and elbow pads will also be removed from the new uniform, according to Program Executive Office Soldier. These last four potential changes have not yet been approved but are being considered, according to PEO Soldier. Currently, Soldiers wear ACU with the Universal Camouflage Pattern, or UCP. By 2018, they will be wearing an Army Combat Uniform with the "Operational Camouflage Pattern." The fabric of the uniform, the cut, the placement of pockets and other details, for instance, will remain the same. It is only the geometry and palette of the camouflage pattern printed on the fabric that will change. The cost of uniforms with the new pattern will be comparable to the current uniform. At the Fort Myer, Virginia, military clothing sales store, for instance, an ACU top now sells for approximately $45. The pants sell for around $45 as well. A cap sells for about $8. According to the 2014 pay charts, online at dfas.mil, enlisted Soldiers receive between $439 and $468 annually to buy new uniforms -- that includes replacing the outgoing UCP ACU with the Operational Camouflage Pattern ACU. Soldiers will have about three years -- the time between the first availability of the uniform in military clothing sales in 2015 and the time they are required to wear it in 2018 -- to transition the contents of their clothing bag to the new look. They will also have more than $1,300 in clothing allowance at their disposal to make that happen. The new pattern is different, but visually compatible with what Soldiers wear now in Afghanistan. It does have the same acronym, however. In Afghanistan, Soldiers wear the "Operation Enduring Freedom Camouflage Pattern," called OCP for short. The new uniform pattern is also called OCP. "The Army is naming the pattern the Operational Camouflage Pattern to emphasize that the pattern's use extends beyond Afghanistan to all combatant commands," said one senior Army official in a July 31 press release. The new pattern is borne from efforts to meet a 2009 directive by Congress to develop a camouflage uniform suitable for the Afghanistan environment. That initiative, along with Soldier feedback, led the Army to develop the Operational Camouflage Pattern. As part of that program, the Army was directed to develop and evaluate camouflage patterns that will provide effective concealment in a wide variety of terrains and environments. The Operational Camouflage Pattern is a result of that effort. As part of the program two "bookend patterns" of OCP are being optimized and evaluated for possible use on Flame Resistant ACUs that would be worn by Soldiers deployed in either arid or heavily wooded terrains. All organizational clothing and individual equipment, referred to as OCIE, such as MOLLE gear, protective vests, ruck sacks and plate carriers and non-flame resistant ACUs and will be offered in the OCP pattern only. The Army has also said that following rigorous testing and evaluation, the OCP was proven "the best value for the Army. Soldier force protection and safety was the Army's primary decision criteria," a senior Army official said. "The Army has selected a pattern as its base combat uniform camouflage pattern," explained the official. "The Army has confirmed through testing that the pattern would offer exceptional concealment, which directly enhances force protection and survivability for Soldiers." The senior official said the Army's adoption of OCP "will be fiscally responsible, by transitioning over time and simply replacing current uniforms and OCIE equipment as they wear out."